Even as someone born and raised in New York City, I've never grown immune to the cold. Every year when winter rolls around, I get grumpy about wearing a down coat or dealing with my flaky skin, and each blast of wind that slaps my face makes me wonder: How many days until spring? Unfortunately, until someone builds a time machine that allows us to fast-forward from December to March, I'm stuck with the awful weather. My one respite: Summer Fridays' latest mask. The floral scent and spa-like experience keeps seasonal blues at bay — even if the weather outside is below 10 degrees. The new R + R mask is a 2-in-1 that exfoliates the skin and finishes as a facial oil. It's supposed to be a glow-inducing concoction with ingredients like rose flower powder, argan oil, avocado oil, and Bulgarian rose. 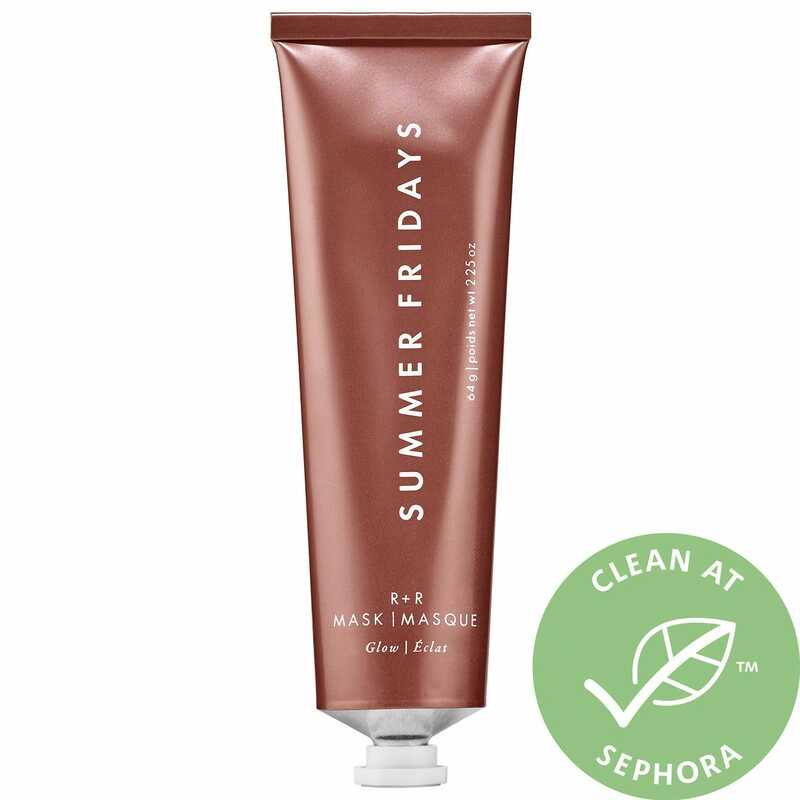 After a super positive experience with Summer Fridays' first two masks, I had high expectations for their third launch but with a small dose of skepticism — multipurpose products are great when it comes to makeup, but with skin-care, I need to see the results to believe it. Luckily, I had a chance to try out the product ahead of the launch date. Unlike some serums or face oils, there was no sticky or tacky feel left over. But after a few minutes, I did feel like the oils were being sucked up by my dry skin, which dampened the overall glow effect. Summer Fridays founders, Marianna Hewitt and Lauren Gores Ireland, let me in on a pro tip during the R+R launch event in New York City: You want to apply the Jet Lag Mask or moisturizer on top of R+R to really seal the deal. I took that into account the second time around, and it did the trick. My glow lasted for hours and my skin looked even healthier with my go-to moisturizer on top. I'm curious to see its magic in the summer when my skin isn't begging for hydration. For now, the below-freezing temperatures in New York City have nothing on my plump, glowy skin... I'll just be here shamelessly faking a glow until springtime hits.